Colin Farrell says stepping in for the late Heath Ledger in the Terry Gilliam-directed "The Imaginarium of Doctor Parnassus," following the actor's sudden death is an experience that nothing in his career will probably ever match. "It's not hard for me to imagine that if I ever look back on the films I've been a part of, and the stories I've had a hand in telling, one will stand out as so unique an experience, as to be incomparable. This experience was the shooting of 'The Imaginarium of Doctor Parnassus'. The reasons for its uniqueness, sadly, are probably obvious to anyone who reads this," Colin told Access Hollywood in a statement. After Ledger died of an accidental prescription drug overdose on January 22, 2008, Colin, Johnny Depp and Jude Law stepped in to help complete the film, which was released wide over Christmas weekend. "Three of us had been asked to complete a task that had been set in motion by a man we greatly liked and respected as both a person and an artist. Being part of this film was never about filling Heath's shoes as much as seeing them across the finish line," he continued. "How I wish he had brought the film to its completion himself. Of course the whole crew felt this way. And the cast that we joined felt it too. It was this spirit of grieving the loss of Heath that Johnny and Jude and I joined. But there was also a sense of dogged insistence. Insistence that Heath's last piece of work should not be kept in the shadow of the light of day." Colin considered it an "honor" to be part of the film that Heath started. "More than anything though – more than the sadness and shock, the vulnerability and un-suredness as to whether it was right to complete the film or not – was an incredible sense of love. A community of people, caterers and actors, electricians and make up artists had been brought together in a recognized sense of love and obligation, for and to, one of cinemas finest actors and most generous of men. It will be this sense of love amidst the sadness I will remember most. 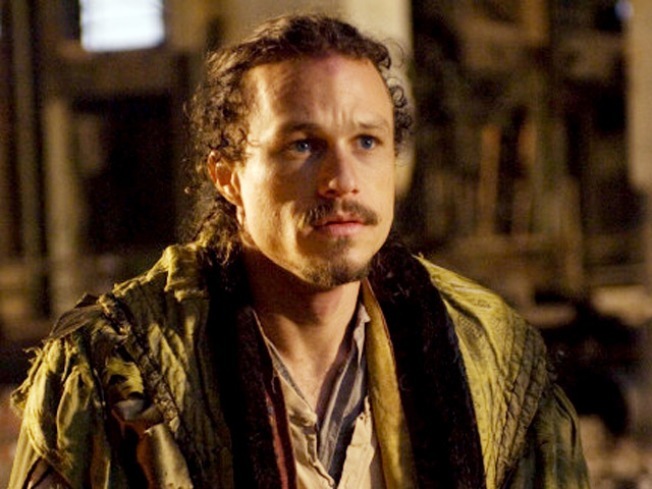 Such a gift and an honor, from Heath, to be a part of the trail that he left behind," Colin said, adding, "RIP Heath Ledger." "The Imaginarium of Doctor Parnassus" premiered in London in October 2009.